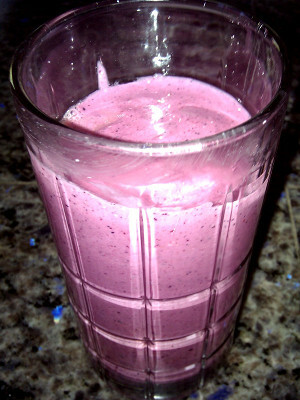 This low sugar, high fiber berry cobber smoothie recipe is big on taste and easy to make. Add milk and instant oatmeal. Add spices. Add yogurt, then berries. Blend until smooth. Notes: Our first attempt used maple and brown syrup flavored instant oatmeal. The result was pleasant, but too sweet for our tastes. Unflavored instant oatmeal helped the cinnamon and nutmeg to stand out. For a thicker smoothie, add another packet of instant oatmeal or half a cup of rolled oats.